I bought it in Reading, England in November 1988. It cost me 500 pounds ($750). 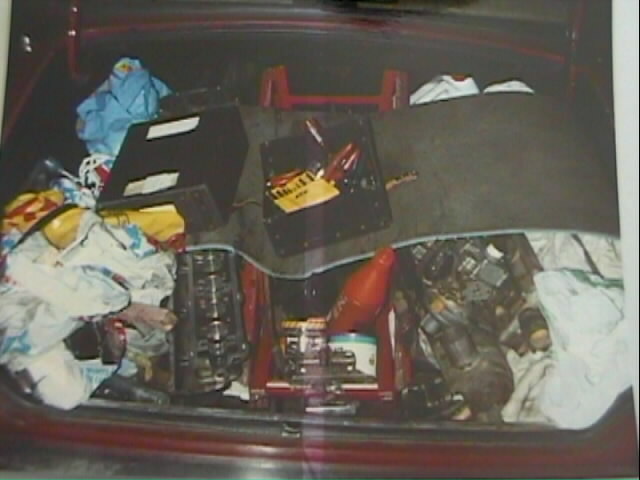 I remember clearly going to buy it & nearly not buying it when I saw inside the engine bay. 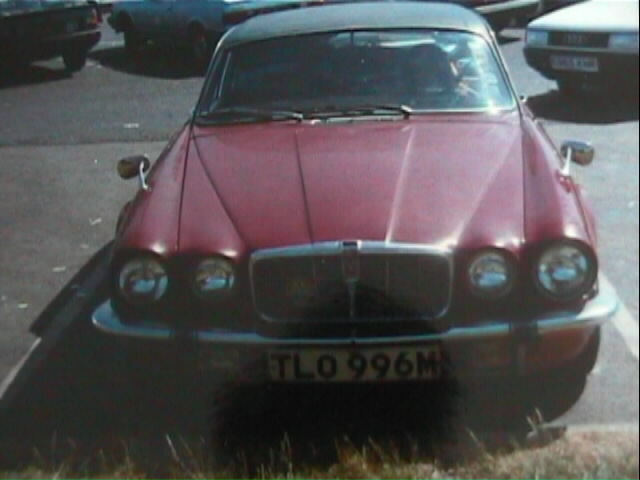 My previous car had been a Vauxhall Viva SL 1300cc, 4 cylinder. 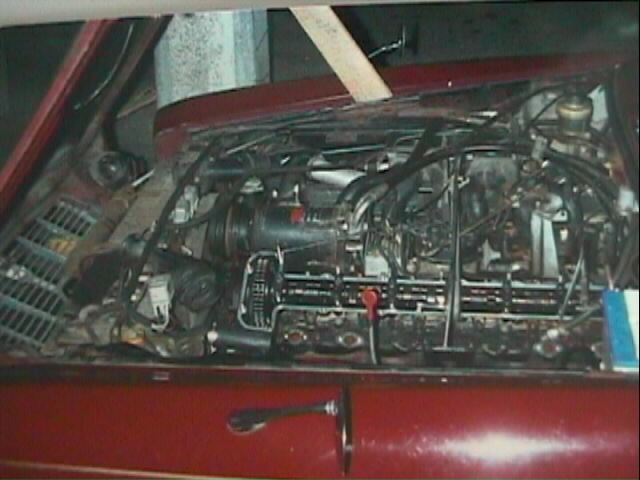 You could have fitted 3 Viva engines in the Viva engine bay & about 9 into the Jaguar engine bay. The 5.3 litre V12 lump appears to have been poured in. It was once described as the pinnacle of inaccessability. Various things were wrong... blowing exhaust... no power steering... leaking windscreen seal... inoperative aircon... I loved it ! This is my friend Kev in the passenger seat. We had finished our industrial placement year from college & were going back to Scotland. We parked up on the M6 somewhere to take a break. Later on the fuel pump packed up & I had to get the very nice AA man to come & hit it with a screwdriver till it worked. 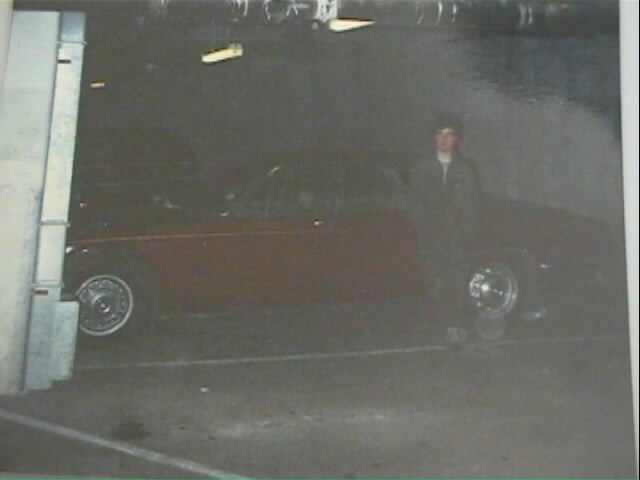 While still in Reading I used to work on the car in the underground carpark of my employer (ICL). Prior to that I worked on the car at my digs but vandals were breaking into the car every night & stole the badges off the back of the car. This is my tool kit. I had pliers, an imperial socket set, an adjustable wrench, a set of screwdrivers and an Allen key set. I took a job at night in a pub to buy parts & more tools. I had intended to take the car back to Scotland in the Christmas holiday. On Tuesday 20th, the night before I was due to leave, I was test running the car & large quantities of black smoke came from the LHS exhaust. The engine faltered & stopped. I looked underneath the car & to my horror, there was liquid engine oil dripping from the lower exhaust union. That was that. I assumed that I'd holed a piston judging by the amount of oil so I stayed down in Reading to fix the problem. The next day at 7pm Pan Am flight 103 ploughed across the M74 at Lockerbie. 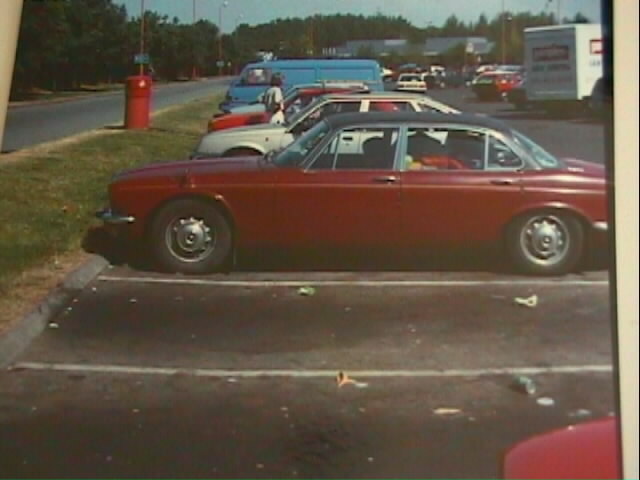 Judging by when I'd chosen to leave Reading, I could have been thereabouts at that time had the engine not spectacularly packed up.